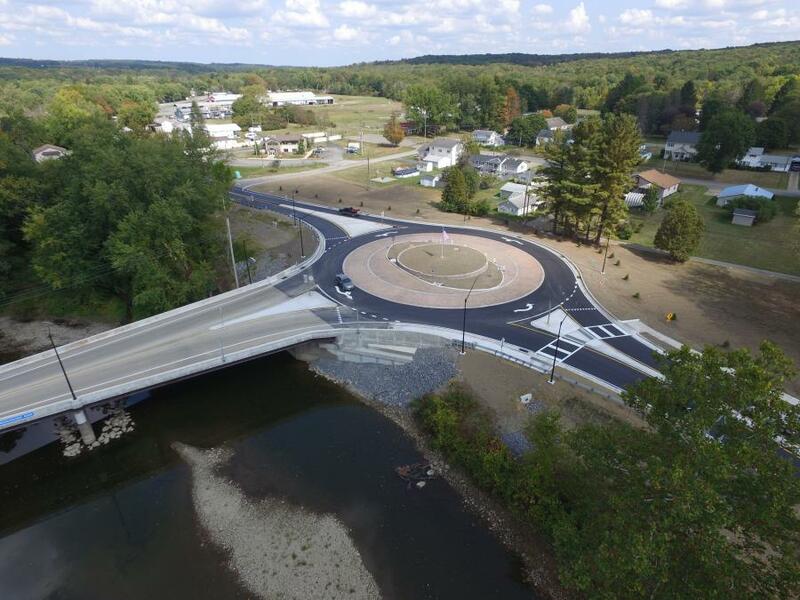 The Pennsylvania Department of Transportation (PennDOT) is the winner of the Transportation Quality Initiative 2018 Community Connection and Enhancement award for its local partnerships during the planning and construction of two roundabouts in the borough of Saegertown, Crawford County. “We are honored to receive this award as it recognizes the importance community involvement and cooperation play in delivering a transportation system that is safe and efficient while also enhancing the quality of life within the municipality,” said Michael J. Shanshala III, acting district executive of PennDOT's northwest district. The roundabouts were constructed at the southern and northern intersections of Route 198 and Route 6 in 2017 and serve as gateways to the borough. The projects addressed the long-running congestion problems within the borough's business district and increased traffic flow by 550 percent over the existing traditional stop-sign controlled intersections. With the support of the borough council and businesses additional enhancements, including paving and updating sidewalks and curb ramps, were made along the mile-long stretch between the intersections. Joining PennDOT in receipt of the award was Clearwater Corporation Inc. of Mercer, Pa., and J.C. Lee Construction & Supply Company of Petrolia, Pa., contractors on the projects. The award was announced at the Associated Pennsylvania Constructors (APC) Construction Innovation Conference. Construction of the roundabouts, along with the rehabilitation of the Brookhauser Road bridge, represented a $10 million investment in the Saegertown community.